Worried by the low level of low oral health care awareness, dental practitioners across the country have set up a Dental Support Foundation (DSF), to galvanise efforts towards the promotion, encouragement and advancement of dental practice in Nigeria. 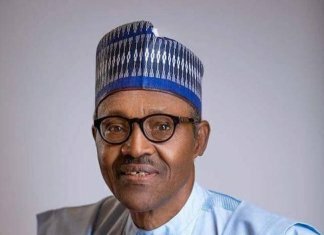 President of the Foundation, Dr. Bidemi Dawodu explained to journalists in Lagos last weekend that the current high prevalence of oral diseases such as dental caries and periodontal disease should be seen as a major source of concern to professionals in the health sector, the government and the Nigerian people. 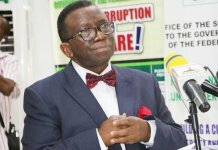 The Minister of Health, Professor Isaac Adewole raised the alarm recently when he said the burden of dental disease has risen to an epidemic proportion. Dawodu submitted that the DSF therefore seeks to encourage the government to implement the Nigerian Oral Health Care Policy aimed at ensuring the creation of at least one dental care centre in each local government with a view to improving the oral health of Nigerians. The support foundation which was incorporated three years ago, will equally strive to encourage dental practitioners undertake measures to improve public oral health and dental education; maintain the dignity of the dental profession; protect the rights/interests of young dentists; and create job opportunity for young dentists. 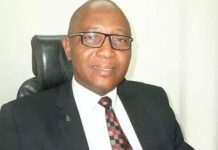 Other objectives, according to Dawodu, include reducing the burden of equipment acquisition to the barest minimum and fostering of friendship, co-operation and co-existence amongst the members of the profession both young and old. â€œThe starting point is to create the awareness among the people about dental healthcare. It is so bad today that people donâ€™t go to the dentist until there have serious pains in their mouths. 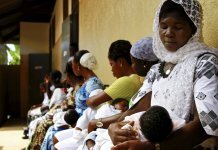 But what is crucial is the implementation of the oral health policy passed by the National Assembly a long time ago,â€ he said. Dawodu emphasised that the implementation of the policy will galvanise the oral healthcare and create employment for dentists, because the cardinal point is the setting up of dental clinic in all the local government areas in the country. Apart from Dawodu, other members of the board include Dr. Ademola Ademuson, a Dental Surgeon with over 35 years in dental practice; Dr. Akanbi Oluwarotimi Olojode, a consultant oral and maxillofacial surgeon with the Lagos State Health Commission and Dr. Ishaku Danfillo, Consultant General, Dental Practice (Family Dentistry) with Bingham University Teaching Hospital, Jos. Others are Dr. Tola Owoturo, a Family Dentistry specialist with core interest in Endodontics and Aesthetics; Dr. Dahiru Labo, Dr. Grace Mang and Dr. Bola Awokoya.